So maybe you found a great deal on a motorcycle, but your perfect motorcycle is perfect only if you can afford it. Once all the costs to own a motorcycle are examined, the Total Cost of Ownership (TCO) is different than most people expect—both higher and lower—even to veteran riders. For example, you can save as much, or more, shopping for financing and insurance as you can on the purchase price of the motorcycle. One-time costs are ones that you pay once regardless of whether or not you ride use the bike. These costs include the cost of the motorcycle, riding gear, tools, financing charges, sales tax, and depreciation. Ongoing costs include the recurring costs like insurance and vehicle license, and the variable ones that change based on how much you ride, such as fuel costs, new tires, and maintenance costs. The free downloadable worksheets further categorize the expenses into two sections for your convenience. The first, named “Motorcycle Rider Dependent Costs,” covers costs of things you’ll need regardless of your motorcycle choice, like riding gear, resources, tools and ongoing rider training. The second is named “Motorcycle-Dependent Costs” and covers the bike-related expenses. As you will find when you complete the worksheets, the cost of the motorcycle and its fuel mileage are important factors, but they play only a part in how much you will spend on your riding activities. A motorcycle that has a higher purchase price than the one you’re considering can actually cost you less to own in the long run, especially when considering resale value. For example, something as seemingly innocuous as the recommended service intervals for valve adjustments, and even the type of valve train in the engine, can make a big difference in your overall operating expenses. Valve adjustment on some bikes is an easy do-it-yourself project for the mechanically inclined. Some motorcycle valve trains are Space Shuttle-complex and really difficult to get at. That’s where some research and completion of the following worksheets help shine a light on the cost of various aspects of motorcycle ownership. Feel free to play with all the variable amounts, especially the amount of miles ridden and the number of years owned, to see how those values affect the total cost of ownership. A factor you might not consider fully is your tires. Tires on motorcycles do more, work harder and wear out faster than those on cars. Therefore, tire expense per mile is typically higher on a bike than a car. Depending on the type of motorcycle and type of riding you do, the amount you spend on tires is around what you spend on gasoline. But, because those air-filled rubber donuts around your motorcycle’s wheels do so much and are critical to the safe operation of your bike, don’t be tempted to cheap-out. Always use premium tires. A couple of summary figures are listed at the bottom of the motorcycle worksheet: “yearly total cost of ownership” and “cost per mile.” These totals are also valuable to use to balance your household budget. The calculation “motorcycle sale price as % of yearly TCO” is provided to show how much of an impact the cost of the motorcycle itself has on the total you spend on motorcycling. Remember, sometimes a more expensive motorcycle costs you less to own. If you currently have a motorcycle that you will be replacing, you can’t count both the value of your current bike and the resale value of your new bike in the calculations to accurately evaluate the cost of ownership—that’s double dipping. Only enter an amount in the section labeled “sale of currently owned bike” if you a buying another bike to replace your current one. 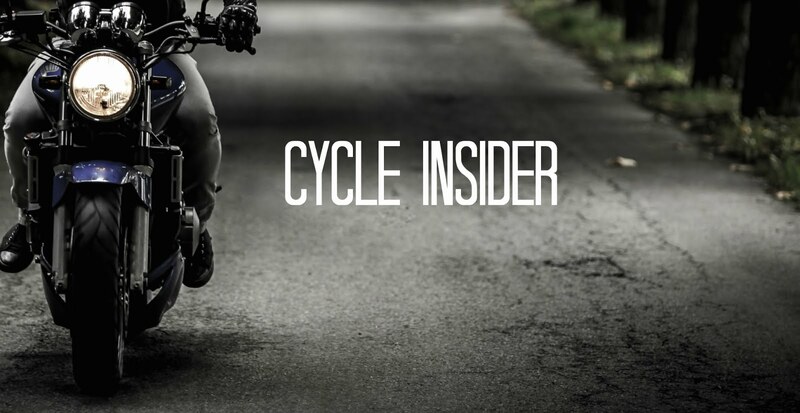 To decide between selling your bike and trading it in, you need to judge if the time you will likely spend selling the bike is worth the difference between the projected selling price and the trade-in value. It’s generally a good idea to sell the bike yourself. That difference is the profit margin a dealer will earn to sell your trade-in (the dealer thinks it’s worth their time). Remember, you can save as much of more on insurance and financing as you can on the motorcycle itself. Regardless of where you shop for a loan or insurance, do not be afraid to ask questions. You are not afraid to ask questions when you are looking at motorcycles. The same applies here. Loans and insurance are simply other type of products, expensive ones, at that. An excellent resource for shopping for insurance and financing is Cycle Trader’s Research section. • Are there any penalties for early payoff? • Also, ask the company to be considered for their “top-tier” rates, which are their highest discounted rates. You can’t know all the possible expenses that will come up, but this will get you started toward making an informed decision. Feel free to modify and add your own categories as you learn more, to form an even clearer picture of your overall riding costs. Armed with the data, you’re well on the way to your perfect motorcycle. Thanks a lot for putting this into light because it is very important to know when owning a motorcycle. I learned a lot but it seems like there are still too many things to cover. I'll make sure to be familiar with that worksheet because it is the gist of this topic.